You'll be £15.99 closer to your next £10.00 credit when you purchase Armies of the Hellenistic States 323 BC to AD 30. What's this? 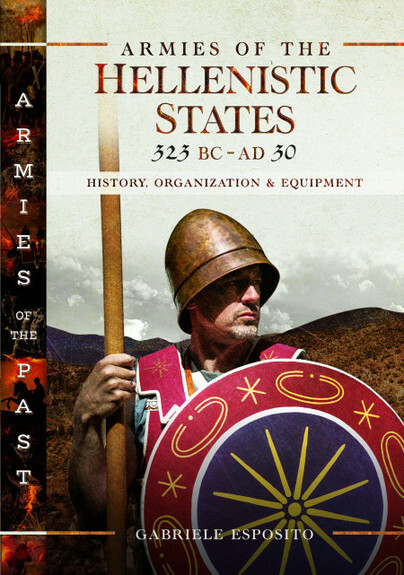 This book provides a complete and detailed analysis of the organization and equipment employed by the armies of the Hellenistic States. After Alexander the Great’s death in 323 BC, his immense Macedonian empire was divided between his ambitious generals, who in turn formed their own monarchies across Eastern Europe, Asia and North Africa. This work will follow the development of the Hellenistic military forces from the army bequeathed by Alexander the Great to the complex military machines that succumbed one by one in the wars against the expanding Romans. As decades and centuries progressed, Hellenistic warfare became always more sophisticated: the 'diadochi' (Alexander’s successors) could field armies with thousands of men, chariots, elephants and siege machines; these came from all the territories of the former Macedonian Empire. The book will also show how Hellenistic forces were strongly influenced by Roman models during the last years of independence of their kingdoms. The states analysed are: Macedon, Seleucid Empire, Ptolemaic Egypt, Greco-Bactrian Kingdom, Armenia, Pergamon, Pontus, Cappadocia, Galatia, Bosporan Kingdom, Epirus, Sicily, Achaean League and Aetolian League.